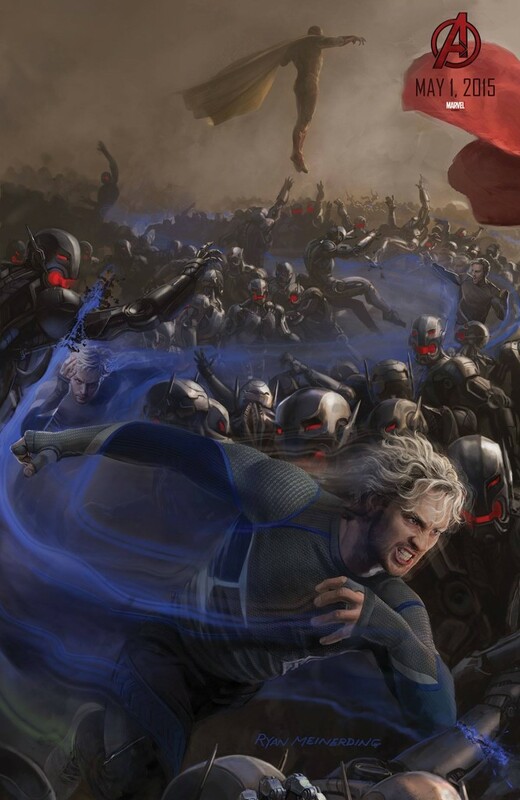 Behind The Thrills | San Diego Comic Con-Marvel panel and Avengers concept art poster! 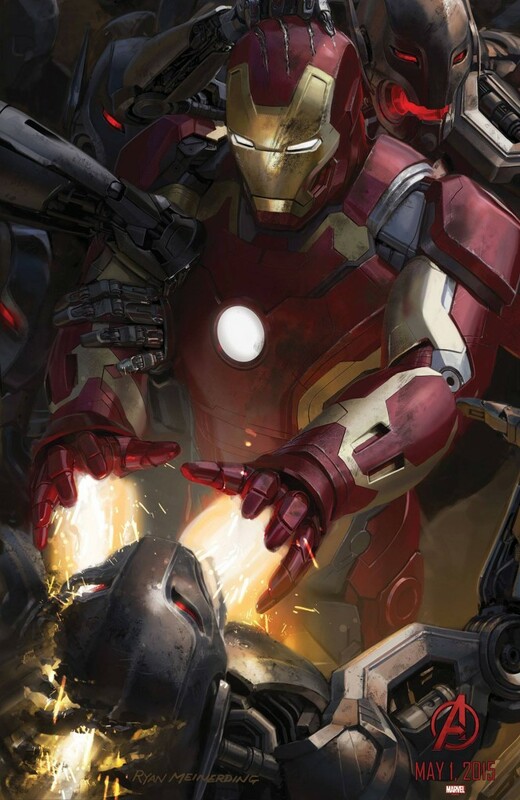 San Diego Comic Con-Marvel panel and Avengers concept art poster! 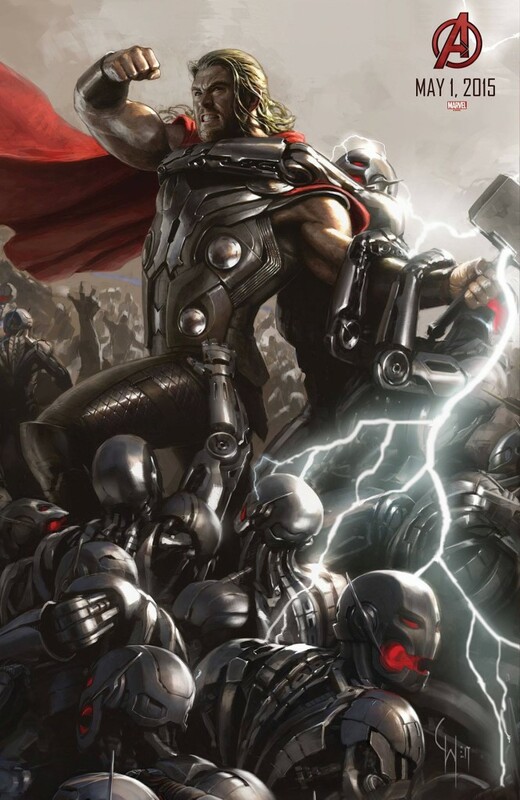 San Diego Comic Con-Marvel panel and Avengers concept art poster! San Diego Comic Con is underway, with Saturday being the biggest day for huge news, previews and more! 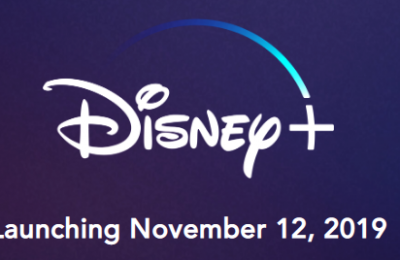 We will be updating this article throughout the day as Disney and Marvel reveal their huge plans, which more than likely includes filling in the huge release dates that go all the way through 2019. We also will be throwing out any big surprises that come our way, as well as pushing out some pictures, as allowed. 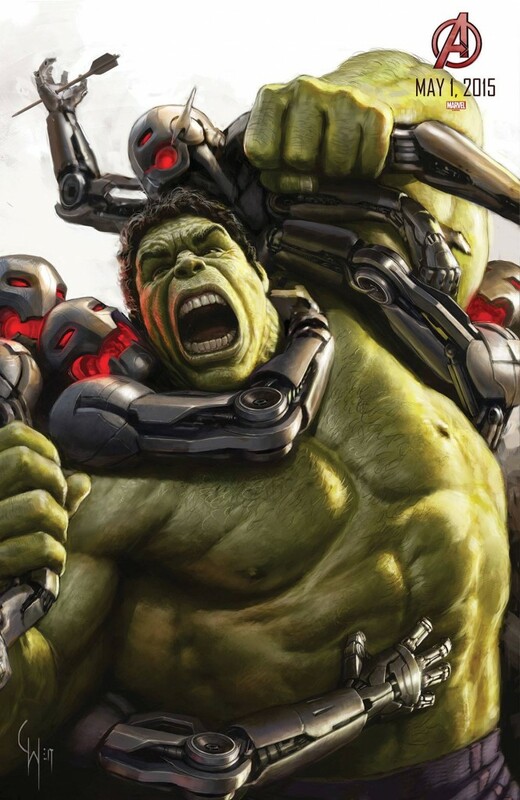 The big reveal, however, comes from the past several days of teasing at Comic Con, with tons of new posters from Avengers 2:Age of Ultron. 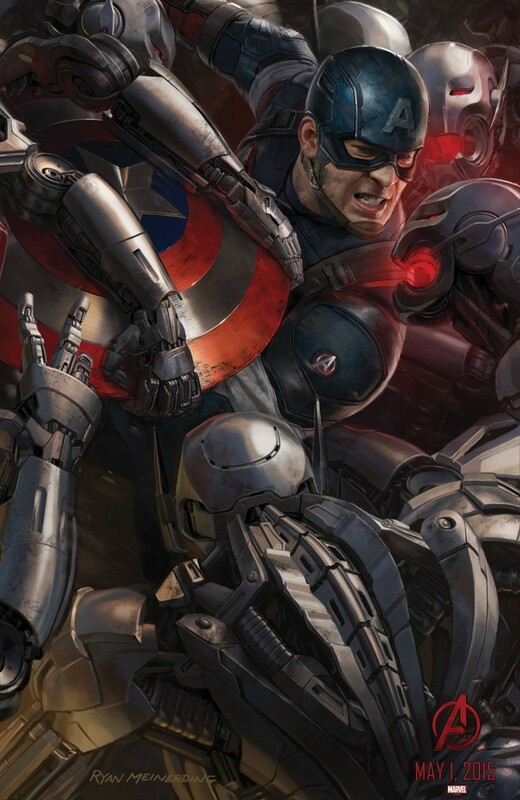 Over the past few days, there have been exclusive concept art posters released for the Avengers 2: Age of Ultron. 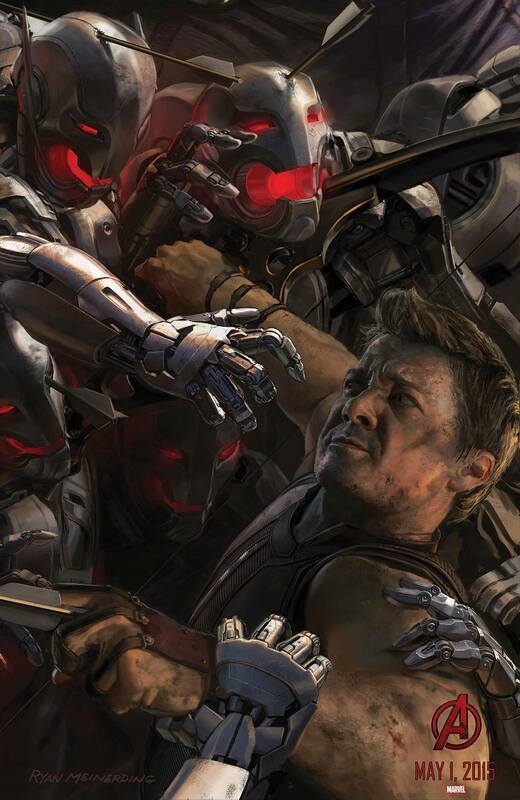 Each new poster revealed at least one new character battling a group of robotic bad guys. We get our first look at the Avengers, back in action, plus we get some great detail of Quicksilver and a mysterious figure floating in the air in the background. That looks to be The Vision-who will be voiced by Paul Bettany. Bettany also voiced Jarvis in the Iron Man films, as well as the Avengers. Coincidence? No…but we aren’t saying any more. 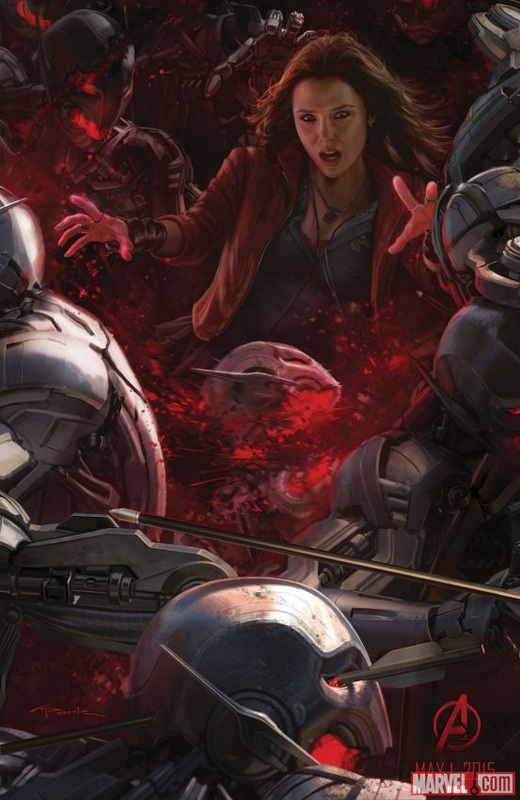 We also get our first look of Scarlet Witch in action. Scarlet Witch and Quicksilver are brother and sister, and have been featured in this summers XMen: Days of Future past by different actors. 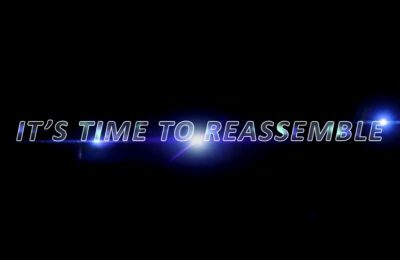 Those characters and the Avengers characters are not connected in anyway, and that is proven by the different styles they go for here as well. 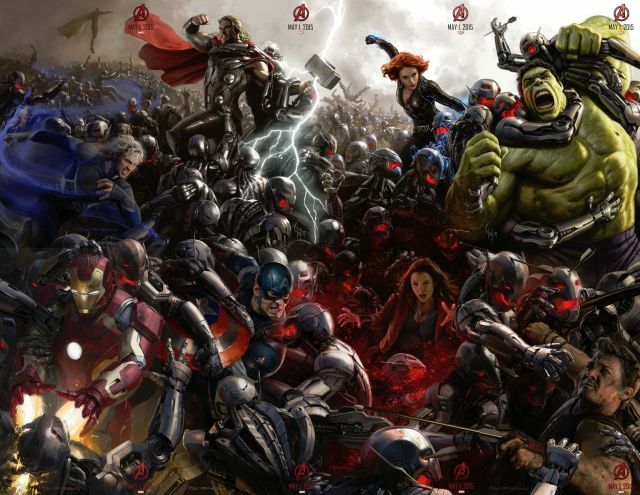 All the other posters form together to create one huge battle poster. 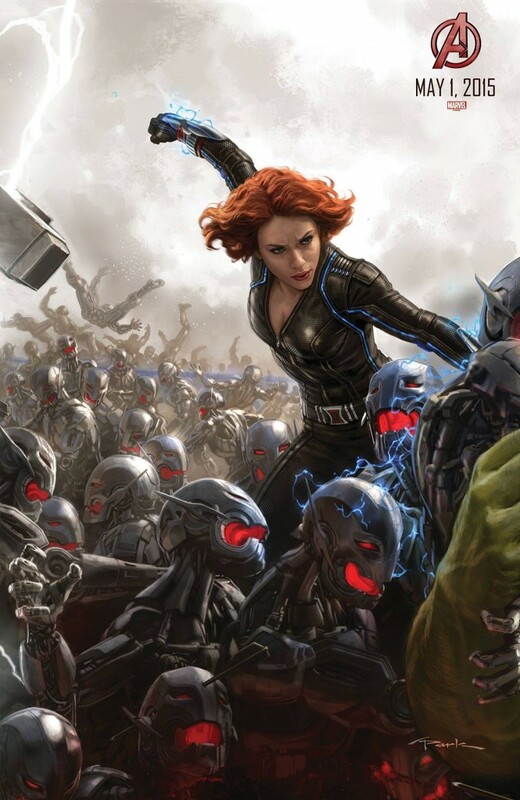 With any luck we’ll see a good look at The Avengers later this afternoon as Marvel takes to Hall H! Stay tuned to this article as we find out more about Disney and Marvel plans, get social with us on Facebook and be sure to follow along with us on Twitter @BehindThrills for the latest updates! Previous PostSan Diego Comic Con-King Kong will be rebooted in new film, possibly to tie in with new Universal attraction Next PostSan Diego Comic Con-The Walking Dead invade with huge panel and Season 5 trailer!